Sky Digital: New frequency for Sky Arts 1: 12110.00MHz, pol.H (DVB-S SR:27500 FEC:5/6 SID:5719 PID:523/651 English,671 nar- VideoGuard). 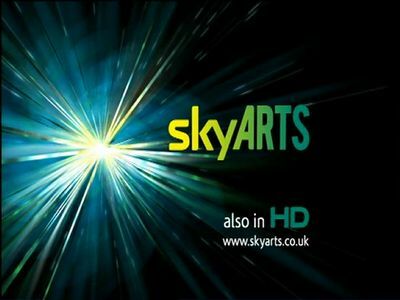 Sky Digital: New frequency for Sky Arts 1: 12285.00MHz, pol.V (DVB-S SR:27500 FEC:2/3 SID:4604 PID:514/642 English- VideoGuard). Sky Digital: New SR for Sky Arts 1 on 12324.00MHz, pol.V: SR:29500 ( FEC:3/4 SID:3863 PID:513 [MPEG-4]/641 English,681 English - VideoGuard). Sky Digital: A new channel has started in DVB-S2 VideoGuard: Sky Arts 1 (United Kingdom) on 12324.00MHz, pol.V SR:28250 FEC:3/4 SID:3863 PID:513 [MPEG-4]/641 English,681 English. Sky Digital: A new channel has started in DVB-S VideoGuard: Sky Arts 1 (United Kingdom) on 12070.00MHz, pol.H SR:27500 FEC:2/3 SID:9344 PID:519/667 English.